Want to be an Adventure Guide ? Adventures by Disney™ provides immersive Disney-guided family vacation experiences to exciting destinations throughout six continents. 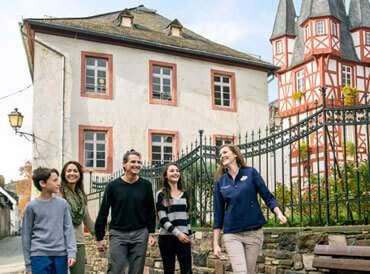 Families traveling with Adventures by Disney™ receive extraordinary service while touring unique locations around the globe. With local experts, engaging activities, ample amenities and personal touches throughout, Adventures by Disney™ excites, thrills, and pleases family members of all ages. Each adventure has its own unique character that will appeal to different people. Some of our trips focus on the outdoors, with whitewater rafting, horseback riding and hiking being some of the optional activities. Other trips will explore highlights of cities, with historical tours, theater and gourmet meals. Trips range from 7 to 14 days in length, depending on the destination. Accommodations are among the best an area has to offer. The platform for all trips is the authenticity of experiencing the destination while incorporating magical Disney touches and surprises. To learn more about our destinations visit adventuresbydisney.com. This year our peak season for running adventures is from May through August, with some destinations operating year-round. The Adventures by Disney™ business is founded on family vacations. We anticipate most of our guests are fans of Walt Disney Parks and Resorts® and Disney Cruise Line®, and will be looking forward to a Disney quality experience with the spotlight on the region that we are visiting. Departures vary, but each group size will have approximately 30 - 40 guests, with a third of these being children. Adventure Guides are expected to juggle a myriad of tasks and daily logistics, and to exhibit initiative and resourcefulness while creating an atmosphere of fun for guests of all ages. They intuitively know when to add those special touches that allow for creation of magical moments. An Adventure Guide's day will usually begin early in the morning. Before meeting with the guests, Adventure Guides are busy setting the stage and making final preparations for a great day. The majority of the day will be spent with the guests, participating in activities, taking photos, attending meals, and addressing their varying needs. Throughout the day, Adventure Guides are the key to creating a seamless and magical experience for our guests. In the evening, it's time to sit and have dinner with the guests while enjoying engaging conversations. Then, it's back to tying up the loose ends and confirming all the details for the following days of the trip. On all of our departures, there should be two Adventure Guides working together to create a successful adventure. Adventure Guides should be respectful and professional with all of their co-workers. This is vital to ensure Adventure Guides can enhance the guest experience. Different styles and personalities are supported and candid feedback is encouraged. Co-Guides of the same gender will be expected to share accommodations, while Co-Guides of the opposite gender will not. To apply, you must be able to provide legal eligibility to work in the United States. Obtain First Aid certification through an approved organization (required before guiding your first trip; will be reimbursed). Candidate has a basic grasp of vocabulary and ability to conjugate most necessary verbs in the present tense. Could order food from a menu, ask basic questions and comprehend answers. Candidate grasps intermediate vocabulary and past, present and future tenses and can hold a basic conversation. Candidate has complete confidence in most verb tenses and an ease of use with all facets of the language, including the ability to communicate via reading, writing and speaking. Adventure Guides should be able to share their curiosity about the world and enthusiasm for travel with our guests. They should appreciate the intricacies of various destinations, cultures and people, act instinctively as an ambassador to the regions they guide, and serve as a storyteller for all who join them on the adventure. Is Being a Disney Adventure Guide for You? Does this intense working environment suit my professional and personal interests? Will I like being in a guest-facing job where I'm constantly "on-stage"? Can I commit to being available for the entire season? How well will I adapt to working every day with limited time to myself? Am I able to comply with Disney's appearance guidelines? Does working in a high-energy, fast-paced, family-friendly, potentially international environment excite me? Will I enjoy being responsible for both adults and Junior Adventurers? Can I be flexible with my personal schedule? Will I mind living out of a suitcase? Adventure Guides are paid an hourly rate that is very competitive within the tourism industry. This amount is supplemented by guest gratuities. Adventure Guides are paid on a trip-to-trip basis, and all lodging and food are provided while working. Interviews and auditions are conducted between August and November. Training takes place in the month of March prior to peak season. For newly hired Adventure Guides, trips start anytime from May through the summer. The Adventure Guides on our team will come from various professional backgrounds with diverse skill sets. However, all Adventure Guides should be thought of as experts in relation to their knowledge of the destination and Disney overall. Skill levels will vary and it is each Adventure Guide's responsibility to enhance their own skills and hopefully support their teammates in the pursuit of furthering their knowledge. Areas of expertise should include language ability, cultural and natural history, regional cuisine, travel industry logistics, basic knowledge of technology and the desire to work with people of all ages. Adventure Guides are expected to participate in all guest activities and therefore must be comfortable participating in Junior Adventurer's games and programs, swimming, hiking, bicycling, kayaking and other outdoor activities. To be considered for the position of an Adventure Guide, you must be available to Adventures by Disney™ for travel between May through August. You will also be required to attend a week-long training session prior to beginning your trips. Adventure Guides will typically work a number of trips with rest periods between departures. The amount of work will depend on our business need and an Adventure Guide's availability. All successful candidates who are hired will be expected to attend our in-house training program. 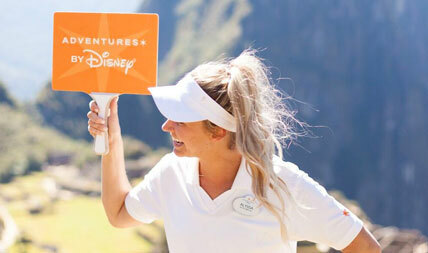 This consists of a classroom-style Adventures by Disney™ training and field-based destination training. All Adventure Guides will be required to complete (or show valid accreditation of) CPR and First Aid certification prior to leading a trip in the field. As representatives of The Walt Disney Company, Adventure Guides are expected to adhere to our appearance guidelines, which we call the "Disney Look." The Disney Look stems from Walt Disney's idea that cast members should be part of the show, but should not become the show. As such, the guidelines in the Disney Look are designed to help our cast members appear friendly, approachable and professional. Visible tattoos (i.e., tattoos that are visible when in costume) are not permitted. Except for one earring in each ear for our female cast members, all jewelry must be removed from body piercings when on duty. Spacers/retainers/gauges are not permitted. Hair color must appear natural and appropriate for your skin tone. Neatly trimmed mustaches, beards and goatees that meet certain criteria are permitted, as long as they create an overall neat, polished and professional look. How am I employed by Disney? Adventure Guides hired from outside of Disney will be employed on a temporary basis, either as a Casual Limited employee or on a Temporary Assignment. Adventure Guides hired internally (current cast members within The Walt Disney Company) may be transferred into Adventures by Disney™ for their assignments and may be transferred back to their other business unit upon completion of their Adventures by Disney™ assignment. **Eligibility for this transfer process depends on your work area, and leadership approval is required. Individual schedules may vary depending on the combination of itineraries assigned, language skills, personal interests, experience, performance history and seniority. As you grow with Adventures by Disney™, additional work could come your way in the form of more trips, administrative tasks or facilitating presentations. Is there opportunity for more work? As a growing company, we are always looking to harness our resources. As you grow with Adventures by Disney™, additional work could come your way in the form of more trips, administrative tasks or facilitating presentations. Do I have to live where I am going to be guiding trips? No. Generally, our Adventure Guides will reside throughout the United States and will be transported to the starting point of their trip departure prior to each adventure. Do I get to go home in between trips? If you live in the area where you are guiding, you are free to return home in between trips when you are off duty. If this is not the case, a "schedule-by-schedule" approach will be taken to determine if and for how long an Adventure Guide should stay in an area in between trips. Who will I be guiding with? All adventures are led by two Adventure Guides. You may be partnered with a local expert, travel industry professional or someone who comes from within Disney and splits their time being an Adventure Guide and whatever their role might be within the Company. Adventure Guides come from diverse professional backgrounds; however, they all share the desire to deliver exceptional guest experiences and the ability to relate to every guest on a personal level. As a Disney College Program participant, you’ll become part of the magic that is known worldwide while gaining valuable, on-the-job experience in our parks and resorts. Learn more. By signing up below, you are agreeing to receive occasional updates from Adventures by Disney via email including notification of when the Adventure Guide application is open.